NEW DELHI (Reuters) - Only a handful of India's 100 most polluted cities have drawn up plans to combat air pollution despite being asked to do so three years ago, senior government officials said on Wednesday after a damning report by the World Health Organisation. India is home to the world's 14 most polluted cities, the WHO said, based on the amount of particulate matter under 2.5 micrograms found in every cubic meter of air. 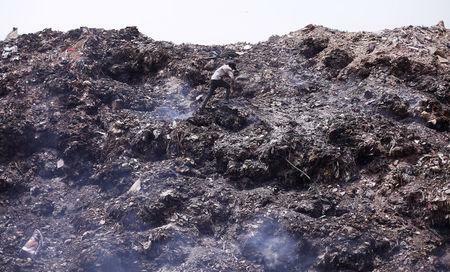 Environment ministry officials said the WHO's findings were embarrassing but not surprising. "It hurts India's image, hurts the India story, hurts tourism, hurts medical tourism," said one official, ruing that fewer than 30 cities had an action plan ready to fight air pollution. "India will eventually overcome the problem, but my frustration is with the timeline." The ministry could spend about 7 billion rupees ($105 million) this fiscal year to help cities set up air-quality monitoring systems and buy equipment like water-sprinklers to settle dust, said the officials, who declined to be identified, citing government policy. "The smaller cities have very poor air-quality management capability and most of them are also in the northern belt, which we know have inherent adverse geographical features because they are landlocked," said Anumita Roychowdhury, an executive director at the Centre for Science and Environment think-tank. Officials said the environment ministry had asked municipalities to finalize anti-pollution plans quickly. The ministry has also fixed six-month to two-year deadlines to set up monitoring stations in rural areas, run health-impact studies and build air-quality forecasting systems, according to a government document seen by Reuters. Kanpur, a north Indian city of three million people, is the world's most polluted city, yet it only has one system to monitor air quality, whereas at least five are needed, said another environment ministry official. The air in Kanpur had an average of 173 micrograms of particulate matter under 2.5 micrograms in 2016. The U.S. Environmental Protection Agency says a "good" level would be 0-50 micrograms. 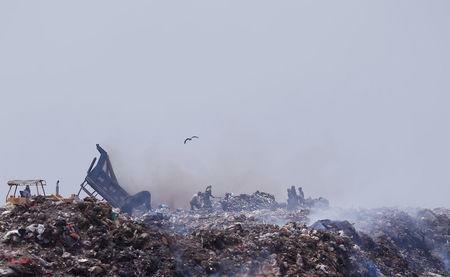 The city's authorities have only just begun to draft plans to fight pollution, said the ministry official. The city is on the banks of the Ganges, and the effluent from its tanneries is polluting the river. Surendra Singh, Kanpur's main administrator, did not respond to requests for comment. The WHO said it was "particularly concerned" about India's pollution levels and urged it to follow the example China had set in striving for cleaner air. Around the world, nine out of 10 people breathe polluted air, which can lead to heart disease, stroke and lung cancer, the WHO said. Globally about 7 million people die as a result of polluted air a year, it said, with people living in poor Asian and African countries at most risk. A British medical journal, The Lancet, estimated that air pollution was responsible for almost 10 percent of the total disease burden in India in 2016. Air pollution in Delhi over recent winters, when the colder weather tends to trap fumes, forced schools to shut and prompted Prime Minister Narendra Modi's office to directly monitor measures to clean up the capital's air. Steps have included sprinkling water to damp down dust and banning certain fuels but there's barely any improvement. 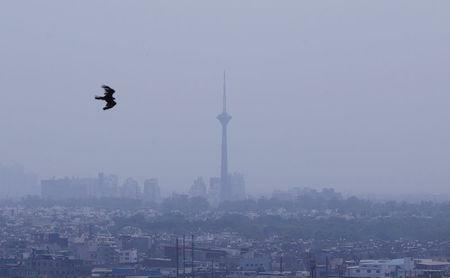 Delhi was the world's sixth most polluted city, according to the WHO. On Wednesday, air quality in the capital stood at 143 micrograms, which is "unhealthy for sensitive groups". "We Indians need to stand up for our right to breathe clean air, and demand improvement and implementation of the (environment ministry's) Clean Air Programme," Greenpeace India said.